Three adjustable shelves let you store just about anything in these quality bookcases. Measures 52" high. 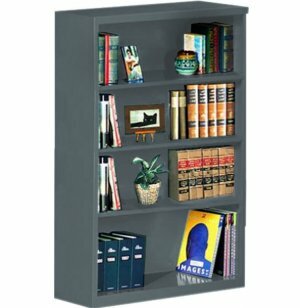 These steel bookcases from Sandusky are a practical, attractive storage solution for schools and offices. The all-steel, all-welded construction provides superior strength and durability. 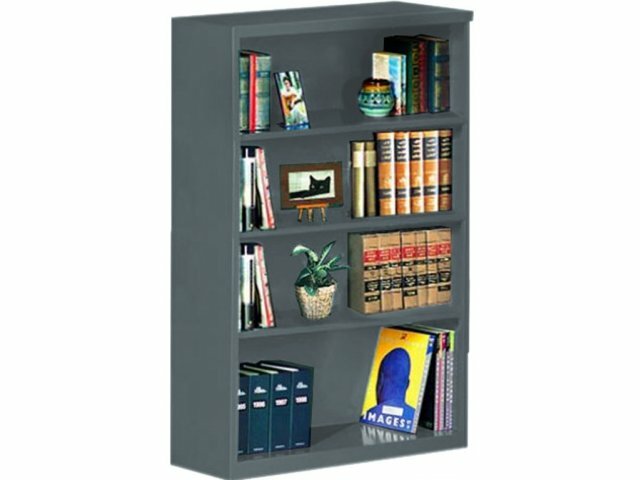 Adjustable shelves let you store everything from small paperbacks to large office binders and reference books. And because they ship fully assembled, all you have to do is unpack them and you're ready to go. Available in a broad selection of classic and contemporary colors. Durable: All-welded construction provides extra durability. Strong: All-steel components ensure superior strength. Adjustable: Shelves adjust on 1" increments, allowing you to customize the storage space to your specific needs. Colorful: Choice of great colors lets you match these bookcases to any current color scheme. Pre-Assembled: Ships fully assembled in crush-proof packaging.